A special strain cultivated by the Bedouin in the remote wadis of Sinai, deep in the Desert Mountains of Egypt. 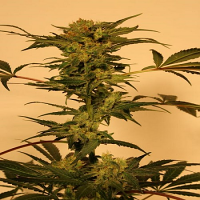 Sinai Regular Cannabis Seeds by The Real Seed Company: A special strain cultivated by the Bedouin in the remote wadis of Sinai, deep in the Desert Mountains of Egypt. Cannabis has ancient roots in Egypt, dating to biblical times and well beyond, perhaps as far back as the second millennia BCE and medicinal use by the early pharaohs. There seem to be two main phenotypes to this strain: an indica expression of about 0.6m - 1.5m with a typical Christmas tree profile; and a larger more sativa type of about 1.3m - 1.8m height, with a more trainable vine growth habit. Both plants have a very unique perfumed aroma, with the indica types giving off a more rank and pungent smell during vegetative growth. 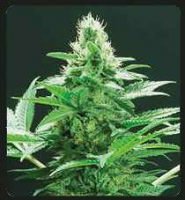 Buds grow in a foxtail structure, are reasonably airy, and are covered in resin. The indica pheno is less leafy and more dense. The plants are very hardy due to the demanding conditions in Sinai, which range from 50°c and high humidity in summer to dry, freezing conditions in winter. Cultivation in the wadi is basic, occasionally using mud brought in from the Nile, but usually only camel dung. The high from Sinai cannabis is distinctive, with a medicinal and blissful effect that makes it unique. Most likely strains native to Sinai will have much more in common with cannabis types found to the north in Lebanon, Syria, Iran and beyond - the direction from which they will have originally spread out of Inner Asia - than they will with the varieties found to the south in Sub-Saharan Africa. 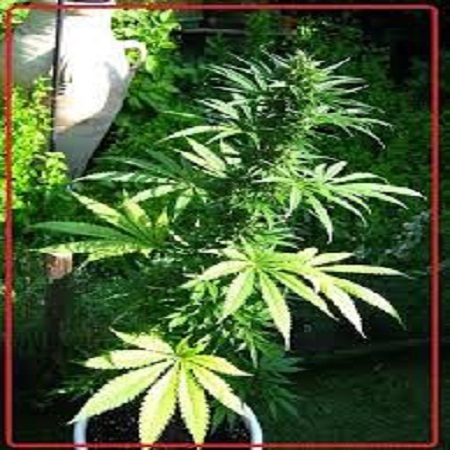 It is very likely that a proportion of plants will show CBD, as in strains grown for hashish, which makes this strain of potential interest to medicinal breeders as well as serious collectors.